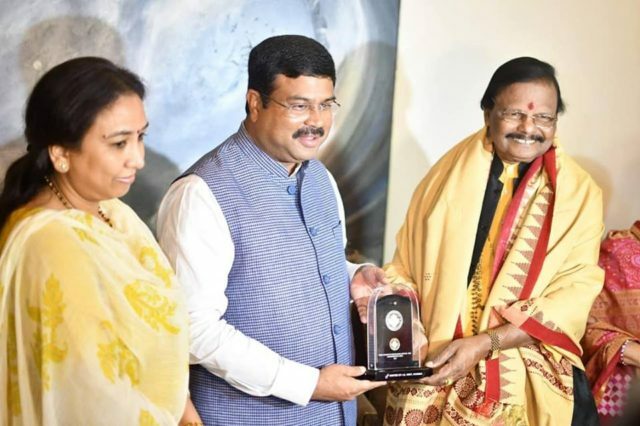 New Delhi: Union Minister Dharmendra Pradhan felicitates eminent sculptor Raghunath Mohapatra on taking oath as a Rajya Sabha member today. 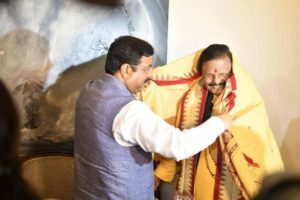 It should be noted that today eminent sculptor Raghunath Mohapatra took oath as Rajya Sabha member. He was nominated to the upper house of the Parliament on July 14 by the President of India. Mohapatra is famous for his contribution towards preservation of traditional sculpture and ancient monuments. He has also worked on the beautification of the Sri Jagannath Temple, Puri. He was earlier awarded Padma Shri in 1975 and Padma Bhushan & Padma Vibhushan in 2001 and 2013, respectively.